Hello Artem! Where are you from? What inspired you to start working with Teezily? I noticed an ad in my newsfeed about some guys earning millions by selling T-Shirts. It was by Reto Stuber and I enrolled myself in his course. Plus, I had always wanted to start my own online business and so decided to give it a try. How many campaigns have you launched since you started? Don’t know the exact number, but it’s over 1500 I think. Facebook Ads is a very complex domain and it was the biggest challenge for us. It’s neither easy to target the right audience and nor to interpret all the statistics. It’s not that hard to find a niche where you can sell, it’s harder to find the right design. The hardest part, however, was, and still is, to get the right people to see your T-shirt for at the lowest possible cost and to make profits. But it’s not impossible. With every profitable design, you get better and your promotional skills only develop. It’s a very dynamic business and you need to be hungry to gain more knowledge, understand complex processes and keep the knowledge up to date. I don’t really have an organisation model for my days. I stay flexible and arrange my tasks on demand. I write tasks down in my notebook and handle hem by priority. This helps me to remain flexible and allows me to test new strategies. A lot of people resort to an “almost copycat” style. Don’t get me wrong, it’s totally okay to draw inspiration from other designs and we do that too. But over time we noticed that the designs we created ourselves worked best. Be creative and offer something new to the market. Of course you will first need to know what people in a niche are willing to buy. Testing is the key I guess. Don’t always listen to people, invest in strategies that you think will work. Dig deep into your statistics and learn to read and interpret your data to try and understand what the market trends are like. I’m proud that we started this business with a very small budget and that we manage to earn big turnover numbers now. We never gave up and believe me, there were a lot of dark hours where stuff just didn’t work. No matter how hard the struggle was, we always tried to keep moving forward. 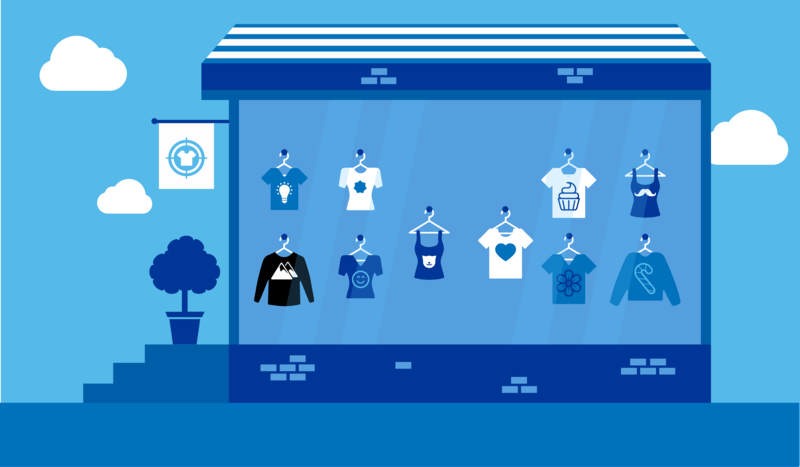 What do you think of the future of online T-Shirt marketing? The T-shirt market is huge, as this is a product that is bought very frequently. The personalisation feature is surely going to support the business for a long time I think. New personalized products will only increase the possibilities. I see a lot of potential in new marketing methods like video ads and interactive chat bots for selling. A lot of new stuff is just waiting to be discovered. I think the selling process is going to change in the future with more customer interaction and new ad formats.